PCTEL's Medallion multiband antenna features an attractive modern design in a rugged low profile housing that can withstand severe environmental conditions.. The PCTMDL-RCVR features PCTEL's successful wideband technology, eliminating the need to install separate antennas in a vehicle in order to achieve seamless wireless voice/data communications and GPS capability. 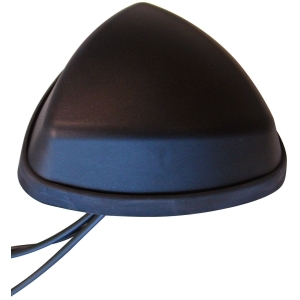 This antenna offers multi-band coverage of GSM 850, GSM 900, GSM 1800, GSM 1900, 3G WiFi/Wimax frequencies coupled with GPS capability for outstanding value and flexibility. Size 5.1" x 4.95" x 1.7"